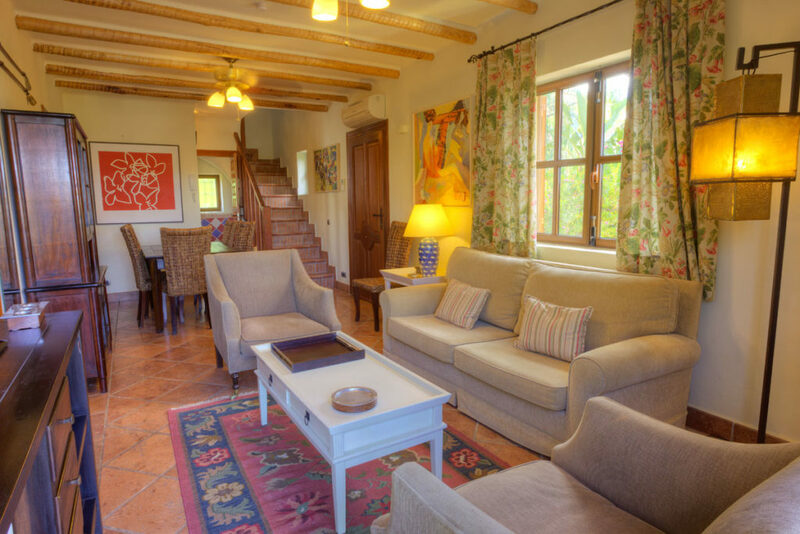 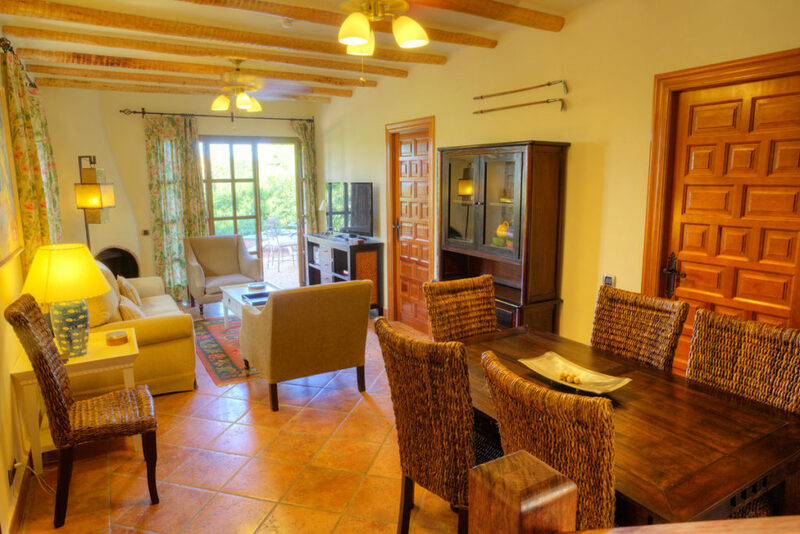 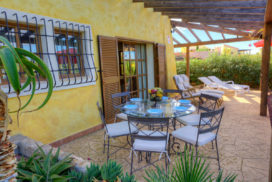 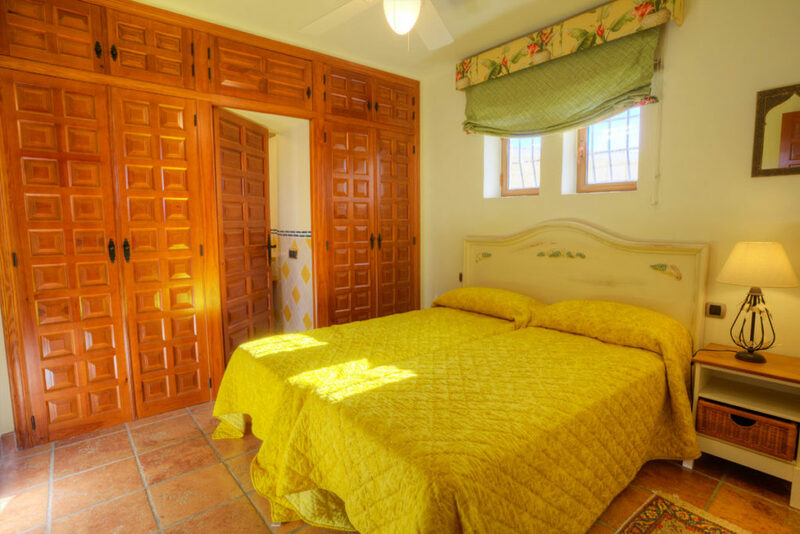 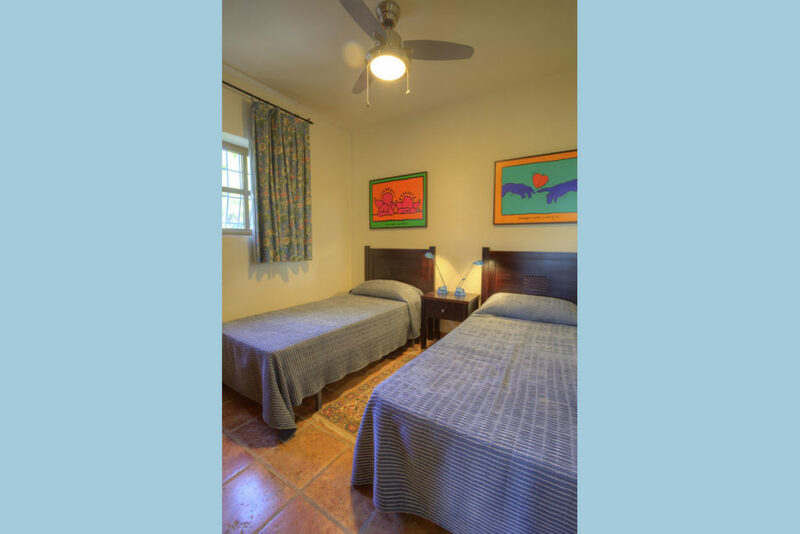 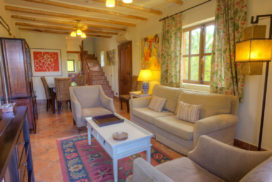 This delightful three bedroom Pueblo Villa is set within the quiet internal gardens of La Rosa, within a cluster of a semi-closed community in the heart of the resort. 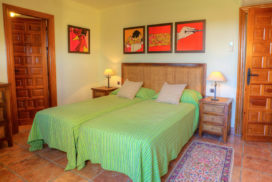 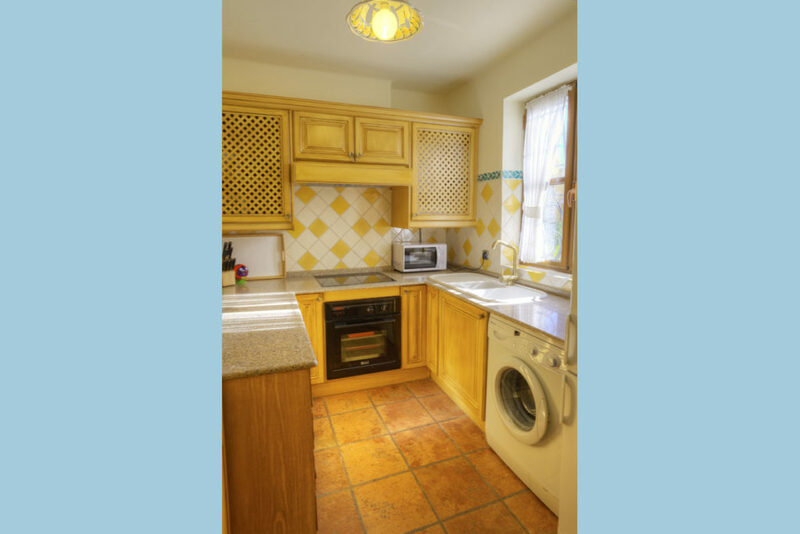 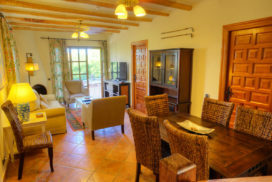 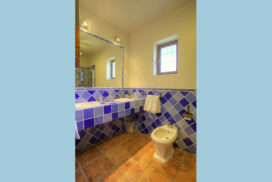 The property provides privacy and tranquillity and benefits from use of the communal swimming pool. 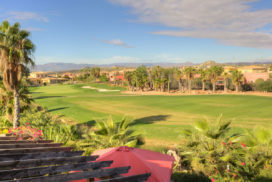 Beautifully designed and furnished throughout, this charming cottage offers frontline views of the 18th Hole of the Championship Indiana golf course and mountains beyond. Outside is a large terrace area with pergola and built in barbecue, where you can truly relax and unwind. 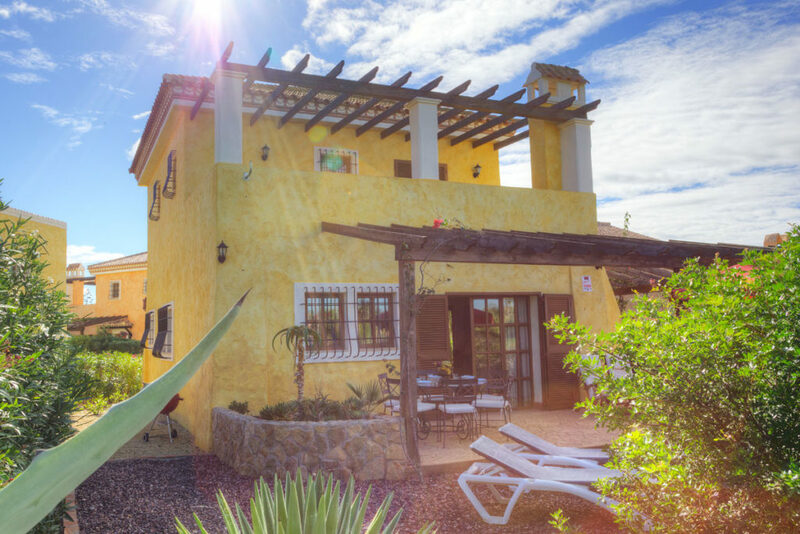 Located within easy access of all resort facilities; Golf Course, Club House, Golf Academy, Tennis, Paddle Tennis, Crocodile Club Restaurant, El Torrente Restaurant, The Sierra Sports & Fitness Club, Children’s Play Areas and Swimming Pools. Lounge A/C Unit, Ceiling Fan, Flat Screen TV with Satellite, DVD Player, Dining Facilities, Patio Doors, Fireplace, Terrace. Master Bedroom with En Suite Twin Beds, A/C Unit, Patio Doors, Balcony, Bath with over head Shower, WC, Single Washbasin, Bidet. 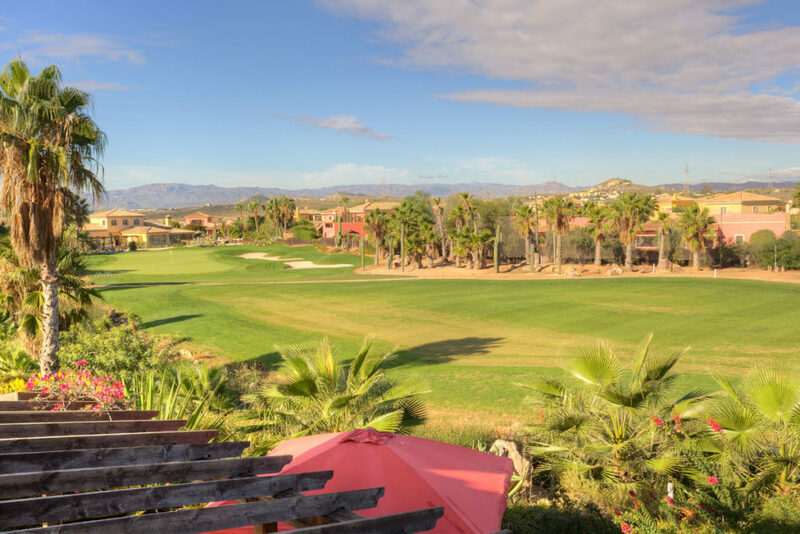 View To the beautiful landscaped gardens and frontline views of the 18th hole of the Championship Indiana golf course with mountain views beyond.